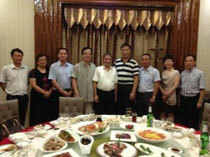 ZCCA President Dai arrived at Yiwu on Aug. 28th along with his visiting group. 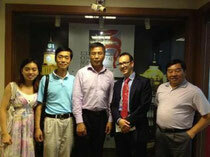 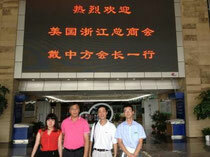 The people from Yiwu City Government and Yiwu Trade City brought the visiting group to Yiwu trade city for a visit. 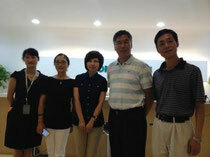 The president of ZCCA Mr. Dai arrived at Zhejiang Small Business Administration on Aug. 27th along with his visiting group. 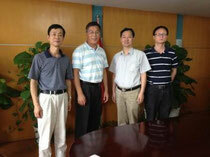 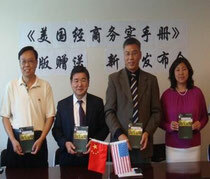 ZCCA and Zhejiang Small Business Administration have cooperated many times. 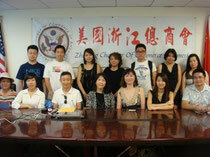 The purpose for this meeting is to globalize Zhejiang business, make Zhejiang products to enter the U.S. market, and expand sale channel.